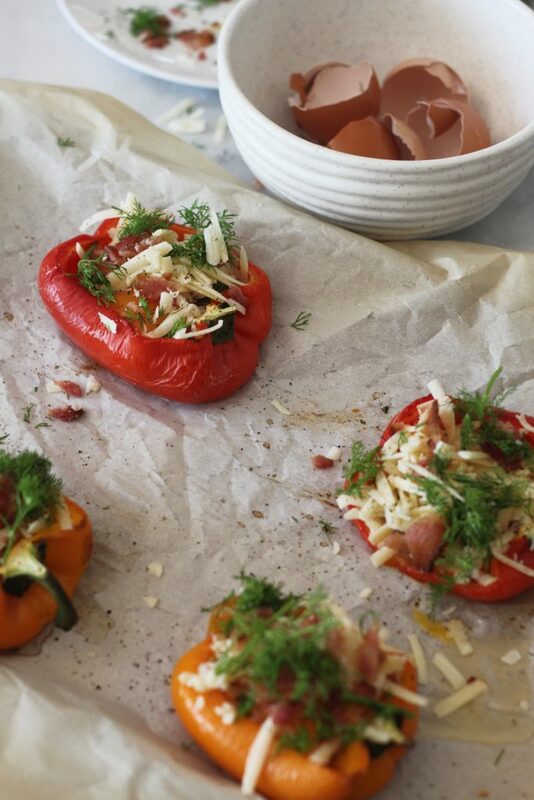 Up your brunch game with these bell pepper egg boats, filled with aged white cheddar, thick bacon crumbles and sprinkled with fresh dill and black pepper. 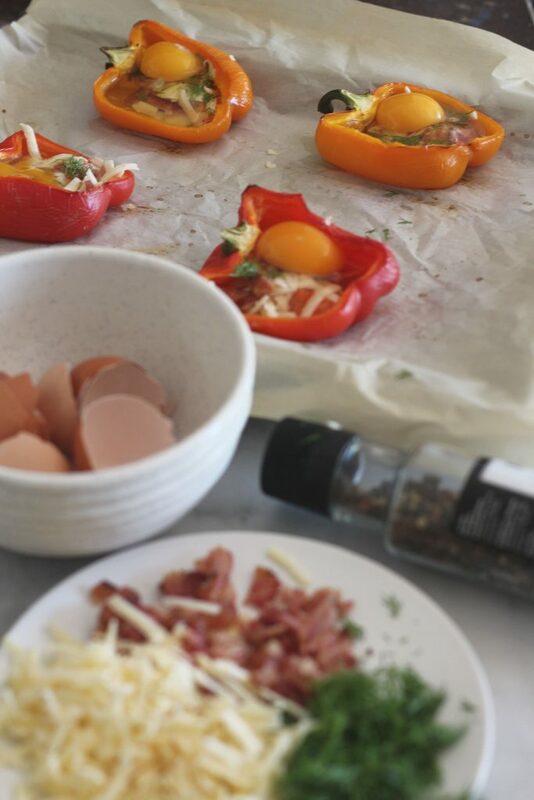 These bell pepper egg boats may look a little complex and a little fancy, but appearances can be deceiving. 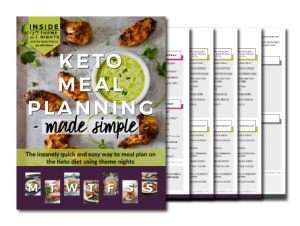 The ingredients are simple and the recipe is pretty straightforward. I religiously eat scrambled eggs nearly everyday for breakfast. My breakfast typically happens at 11 am since I do intermittent fasting, so it’s most peoples lunchtime. I get asked all the time if I get burned out on scrambled eggs, and the answer is always no. There is so many ways to change up my scrambled eggs, that I miss them when I don’t eat them. 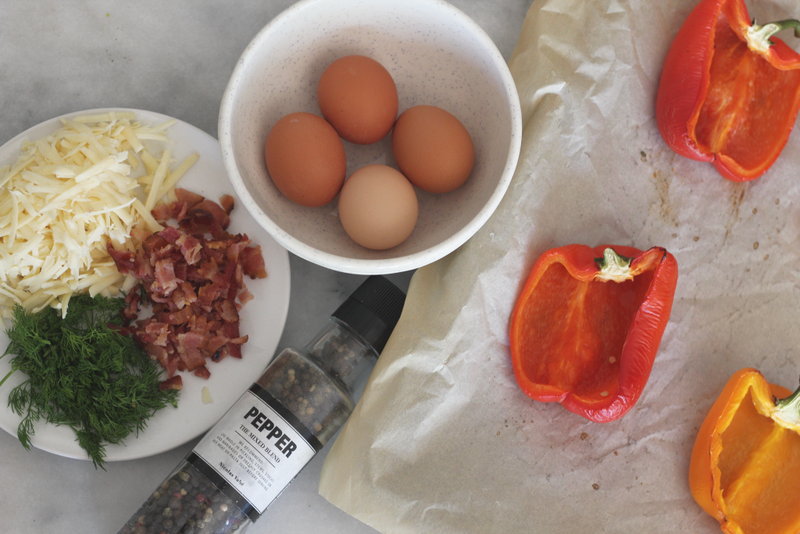 See this post to find out how I make perfectly scrambled eggs, everytime! But on the weekends I’ll change up my menu, just a little. Especially this weekend because I bought some Cabot Cave Aged White Cheddar at Costco and I wanted to make something with it before the snack monsters in my house ate it all up. The cheese is delicious with a great texture and a perfect bite without being too sharp. 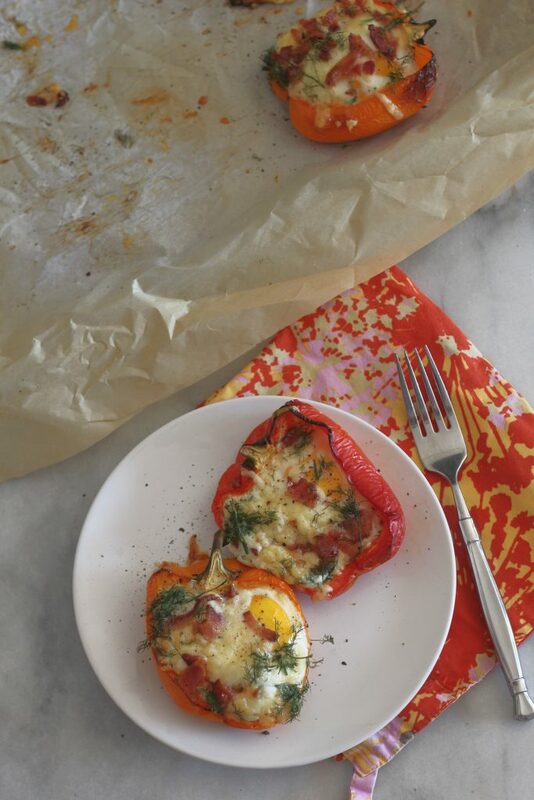 For these bell pepper egg boats, I used Pete & Gerry’s eggs that I bought at Sprouts. I’m becoming a snob with the eggs that I purchase. There is definitely a difference between the dozen of eggs that cost a dollar at the supermarket and the grass-fed, free-range ones that cost a bit more. You can see the difference in the the color of the yolk and taste the difference in the flavor. Roasting the peppers before adding the eggs is the how the peppers get soft enough to eat with a fork, yet still maintain their shape for the boats. Cutting the peppers in half is a bit of a trick, because you want the bell peppers to lie as flat as possible on the baking sheet. You don’t want the eggs to slip out. Preheat oven to 400F. Cut the bell peppers in half, trying to cut them so that they lay flat. Lightly grease parchment paper on a baking sheet. 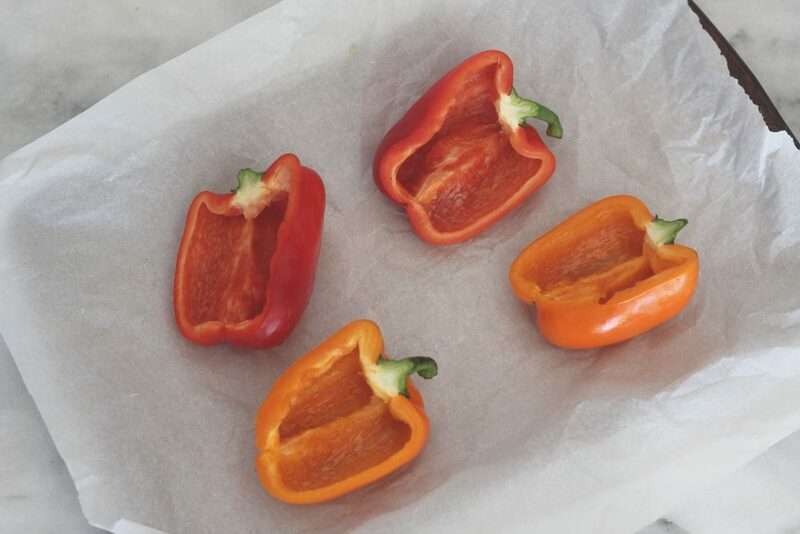 Place peppers cut side up on baking sheet and bake for 20 minutes. 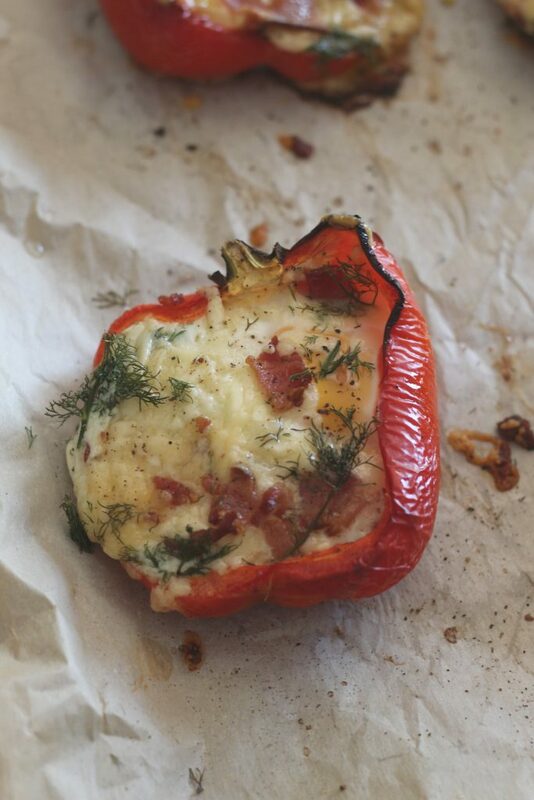 Once peppers are baked, pull them out of the oven. 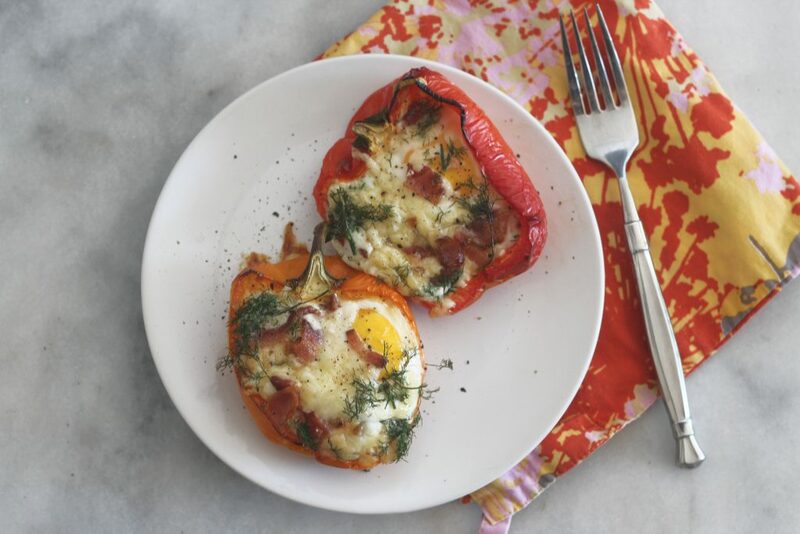 Sprinkle a tablespoon of cheese and crumbled bacon into the bell pepper cups. 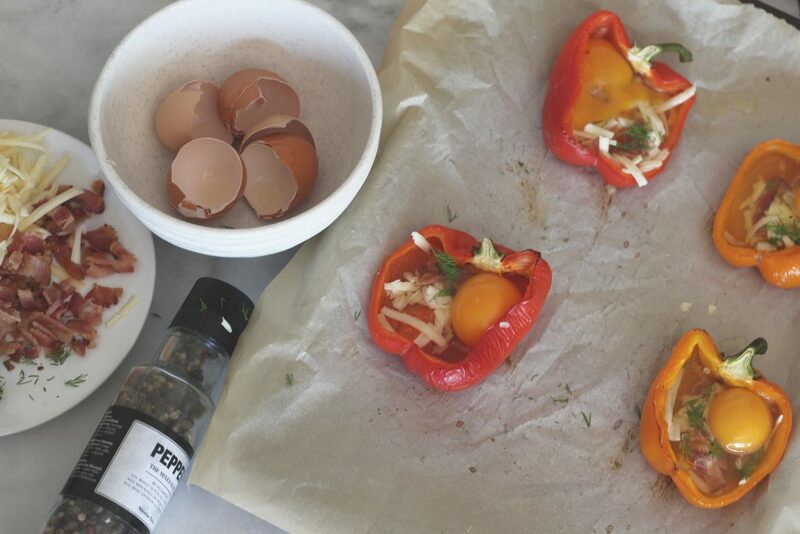 Break an egg into each pepper. Sprinkle on the remainder of cheese, bacon crumbles and fresh dill. Add some freshly cracked pepper. Bake until egg whites appear solid, for about 12 minutes if you want the yolks runny or about 15 minutes if you want the yolks cooked. Linked to these awesome parties! Great breakfast idea. Hubby and I aren’t big fans of bell peppers. So I’ll have to find a substitute for bell peppers. 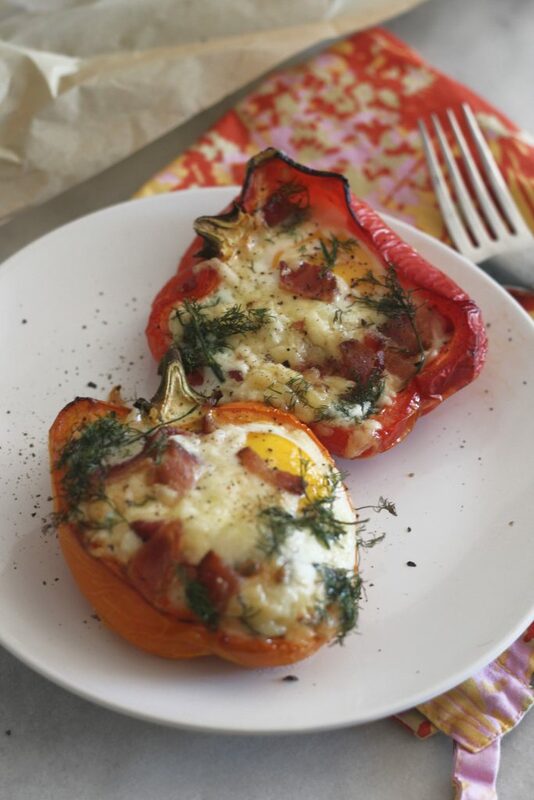 These look amazing and I love the small amount of ingredients it takes to make! Yummy! 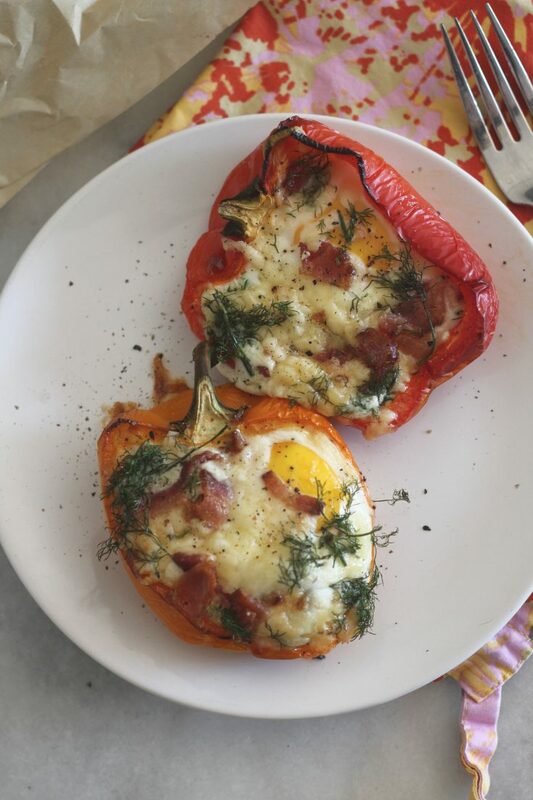 I love your blog and this recipe looks delish 😉 I love that you showed step-by-step pictures, it’s easy to understand and it makes me hungry lol. Thank you for sharing! Cheese!! 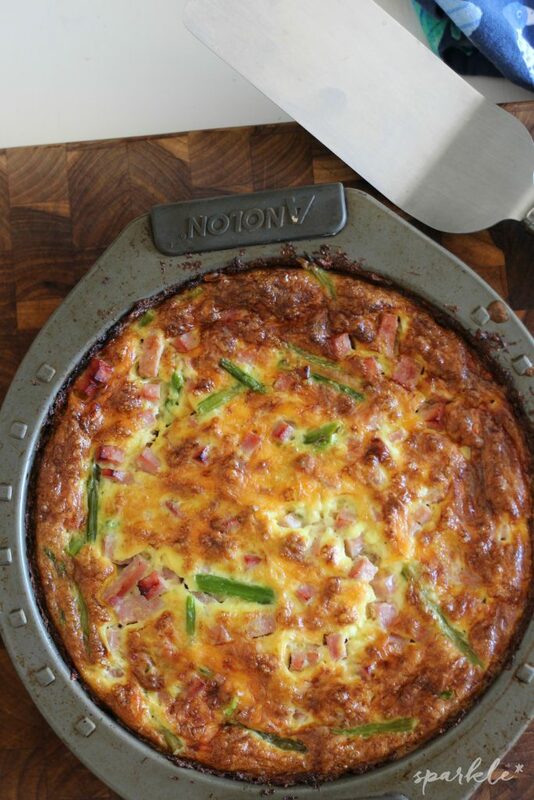 This recipe would be really convenient to cook in the morning. Thank you so much. I love all of these ingredients so I’m thinking that there is no way that I won’t love these egg boats. I like how creative these are. Thank you for sharing at Nifty Thrifty Sunday. Yes! 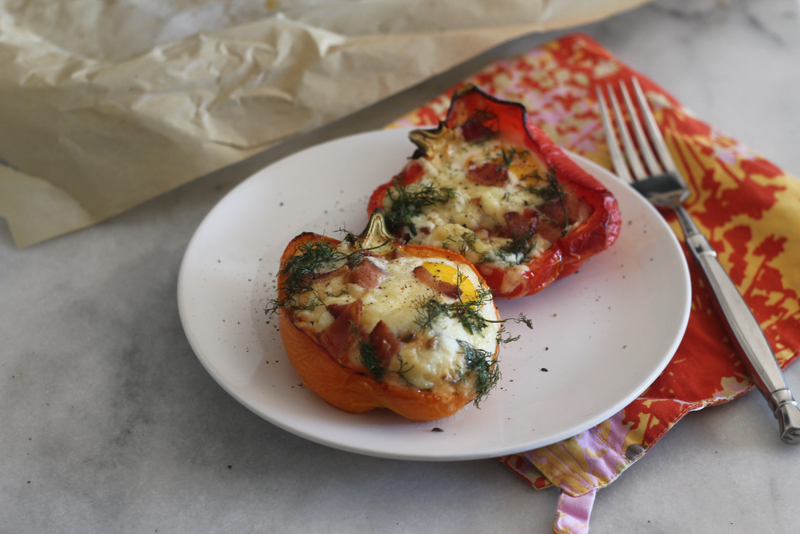 I have been looking for new breakfast ideas for my meal plan and these are perfect! I love everything in them and love how quick and easy they are to make! Thanks so much for sharing them with us at Merry Monday this week! Can’t wait to give them a try. These look delicious. I was after some lunchtime inspiration! I’ll definitely be trying these.